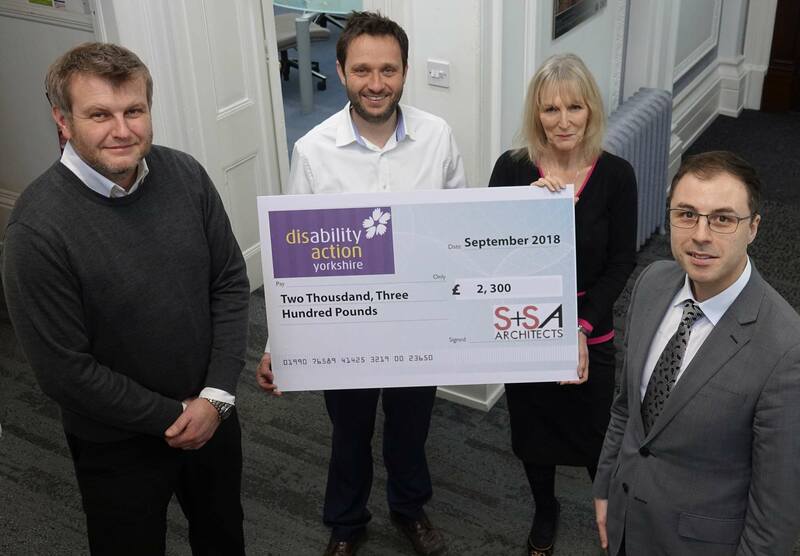 Harrogate’s Disability Action Yorkshire has benefited to the tune of £2,300, the proceeds of two fundraising cycle rides organised by a town centre architects’ practice. S+SA Architects – which has set itself an ambitious five year £50,000, fundraising target for the Hornbeam-based charity – staged both a 50km and a 100km sponsored ride. Former England, Everton and Leeds goalkeeper Nigel Martyn, who has close links with Disability Action Yorkshire, officially started the 50km ride, which saw riders following a relatively easy route around the District. I’d like to say a huge thank you to everyone who joined us for the rides, one of which was challenging and the other more social. We have set ourselves an ambitious fundraising target for Disability Action Yorkshire and this takes us a step closer to our target. We are planning a series of events this year which will, of course, include a number of sponsored cycle rides. Once again I would like to thank Mark and everyone at S+SA Architects for their continued support. This company has been a great friend to us for more than a decade and we are grateful for every single pound they have raised for us.